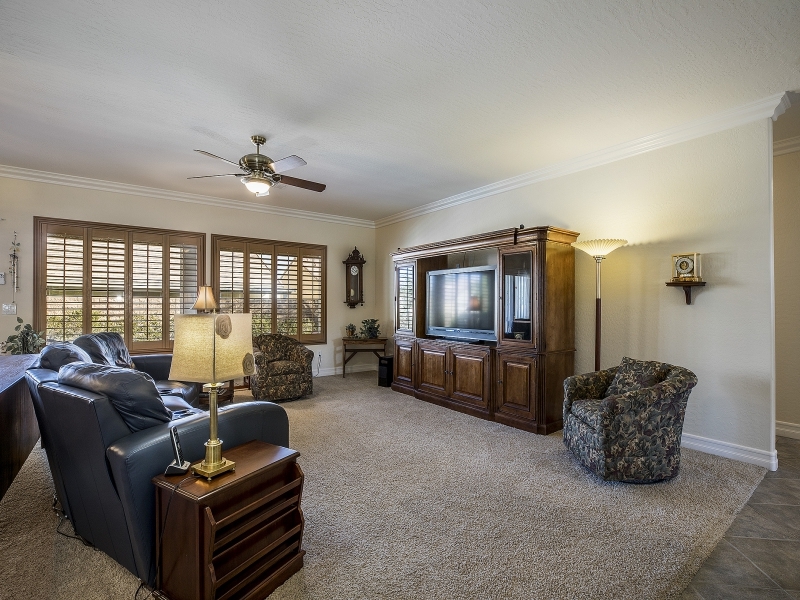 Retire in affordable style to 55+ Sun City Aliante with Beautiful Mountain & Golf Views; Incredible Amenities and an Active Adult Lifestyle. Rare 1908 sf Helena Model on a Cul-De-Sac lot. Relax on your shaded back patio with privacy screen. Huge Great Room for Entertaining. 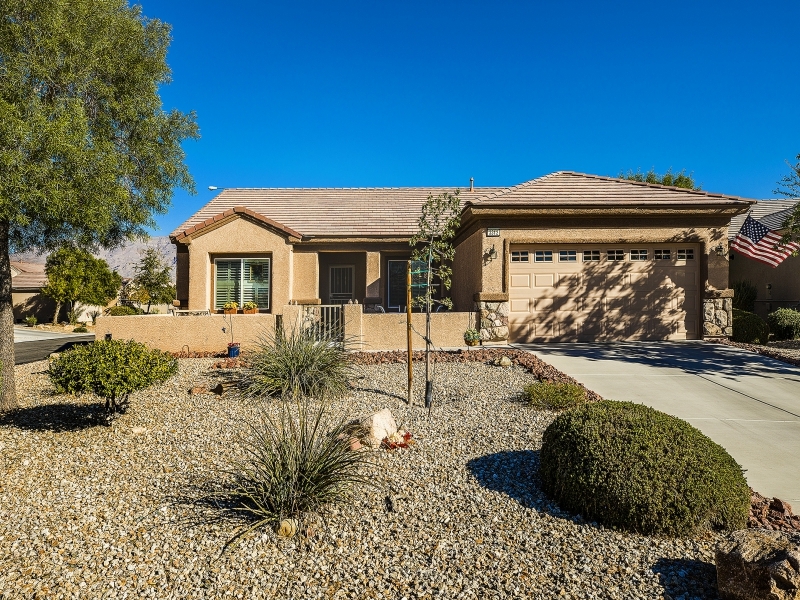 Rare Helena model on large Cul-de-Sac lot in beautiful 55+ Sun City Aliante. 1908 sf 2 bedrooms 2 baths + Den. 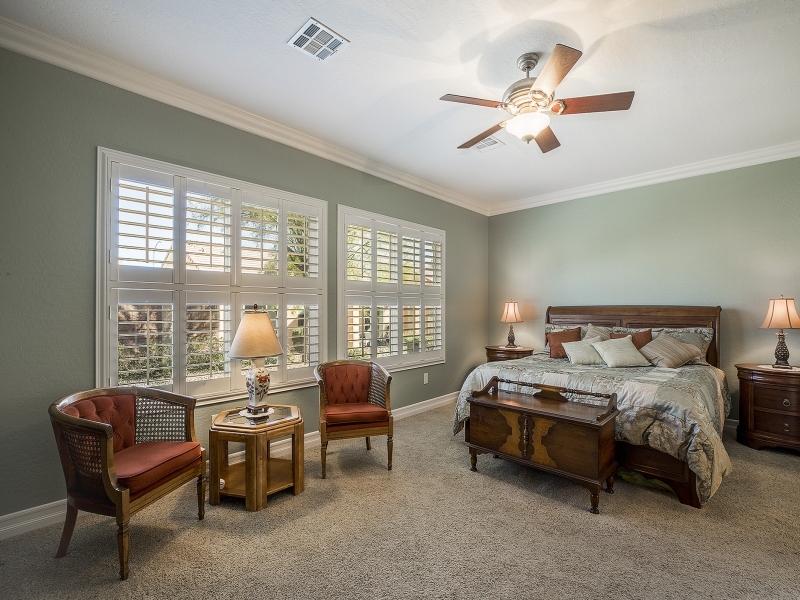 Open airy floor plan with Plantation Shutters & Crown Molding throughout. 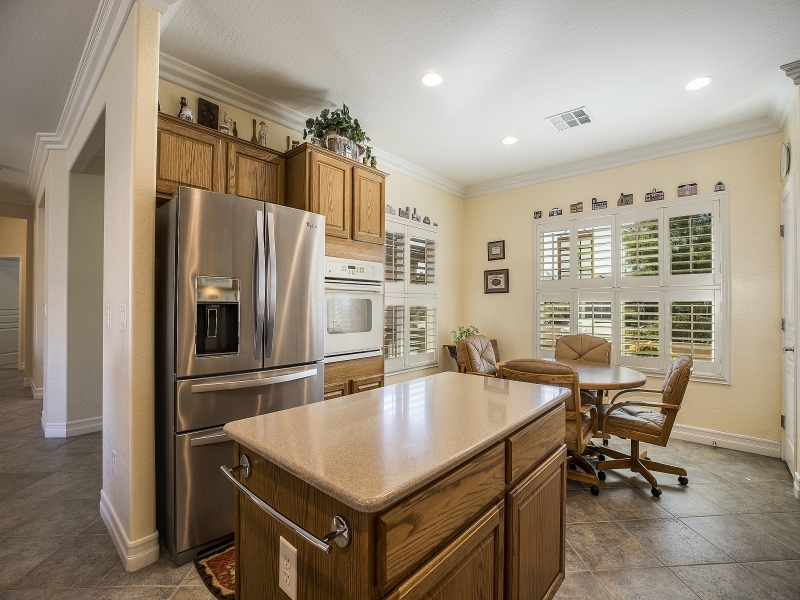 Spacious Kitchen with Island, Eat in Nook and lots of cabinet & counter space. Huge Great Room for formal dining and/or Entertaining. Huge Separate Master Suite to retreat and relax. Spacious Front Courtyard welcomes your guests. Relax in your back covered patio with privacy screens. The Recreation Center has incredible amenities: in-door pool/spa, exercise room with golf & Mountain Views, fitness classes, clubs, social rooms, game rooms, craft room w Kiln, art room, library, computer room, tennis, 8 NEW pickle ball courts and more. Close to Aliante Hotel/Casino, shopping, banks, restaurants, library, parks and beltway.